Kids Math Teacher: Paperclip math! It's math activity Thursday--time for counting, sorting, adding, and creating! Paperclip math! It's math activity Thursday--time for counting, sorting, adding, and creating! 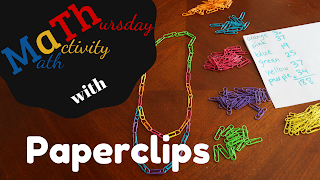 For today's Math activity Thursday we are working with paperclips! 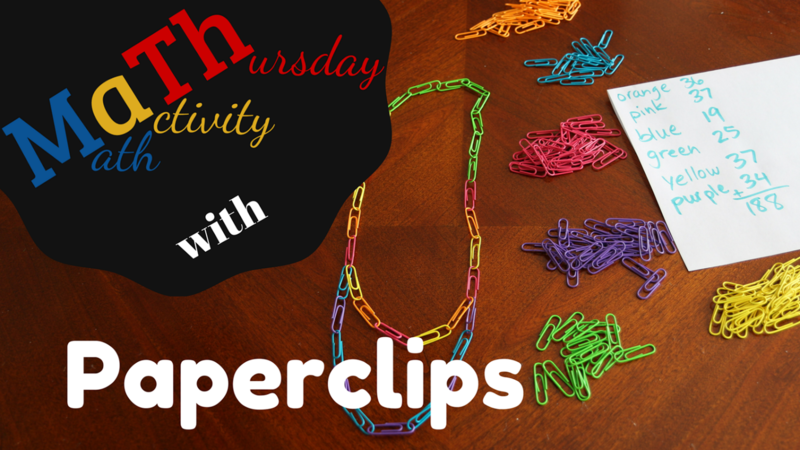 Have you ever used paperclips in your class as a math activity? If so, what did you do with them? Measure them, count them, or something else? I thought it was pretty interesting that in my pack of 250 there were quite a bit fewer than that in the pack. 62 missing. How much would that be in percent? Can your students figure that out? Thanks for watching! What do you think of the video series?